ConservativeHome's ToryDiary: Quentin Davies MP defects to Labour! 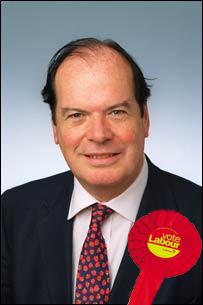 Quentin Davies MP defects to Labour! In a letter to David Cameron today he said: "Under your leadership the Conservative Party appears to me to have ceased collectively to believe in anything, or to stand for anything. It has no bedrock. It exists on shifting sands. A sense of mission has been replaced by a PR agenda." Davies has been Conservative MP for Grantham and Stamford for 20 years. Defecting from his party is a massive step. As a europhile Davies strongly opposed leaving the EPP and, as he wrote on ConservativeHome two weeks, recently went against the Party line in voting against an inquiry into Iraq. "I have been a member of the Conservative Party for over 30 years, and have served for 20 years in the Parliamentary Party, in a variety of backbench and front bench roles. This has usually been a great pleasure, and always a great privilege. It is therefore with much sadness that I write you this letter. But you are entitled to know the truth. Under your leadership the Conservative Party appears to me to have ceased collectively to believe in anything, or to stand for anything. It has no bedrock. It exists on shifting sands. A sense of mission has been replaced by a PR agenda. For the first 19 years of my time in the House, in common I imagine with the great majority of my colleagues, it never occurred to me to leave the party, whatever its current vicissitudes. Ties of familiarity, of friendship, and above all of commitment to constituency supporters are for all of us very strong and incredibly difficult to break. But they cannot be the basis for living a lie - for continuing in an organisation when one no longer has respect for its leadership or understanding of its aims. I have come to that appreciation slowly and painfully and as a result of many things, some of which are set out below. The first horrible realisation that I might not be able to continue came last year. My initial reaction was to suppress it. You had come to office as leader of the party committed to break a solemn agreement we had with the European People's Party to sit with them in the EPP-ED Group during the currency of this European Parliament. For seven months you vacillated, and during that time we had several conversations. Of course I knew that you had put yourself in a position such that if you did not leave the EPP-ED Group you would be breaking other promises you had given to colleagues, and on which many of them had counted in voting for you at the leadership election. But that I fear only made the position worse. The trouble with trying to face both ways is that you are likely to lose everybody's confidence. Aside from the rather significant issues of principle involved, you have of course paid a practical price for your easy promises. You are the first leader of the Conservative Party who (for different reasons) will not be received either by the President of the United States, or by the Chancellor of Germany (up to, and very much including, Iain Duncan Smith every one of your predecessors was most welcome both in the White House and in all the chancelleries of Europe). It is fair to say that you have so far made a shambles of your foreign policy, and that would be a great handicap to you - and, more seriously, to the country - if you ever came to power. I have never done business with people who deliberately break contracts, and I knew last year that if you left the EPP-ED Group I could no longer remain in a party under your leadership. In fact you held back and I tried to put this ugly incident out of my mind and carry on. But the last year has been a series of shocks and disappointments. You have displayed to the full both the vacuity and the cynicism of your favourite slogan 'change to win'. One day in January, I think a Wednesday or Thursday, you and George Osborne discovered that Gordon Brown was to make a speech on the environment the following Monday. You wished to pre-empt him. So without any consultation with anyone - experts, think tanks, the industry, even the Shadow Cabinet - you announced an airline or flight tax which as you have subsequently heard from me in a long paper (which has never been refuted) and I am sure from many others, is certainly defective and contradictory - and in my view complete nonsense. The PR pressures had overridden any considerations of economic rationality or national interest, or even what would have been to others normal businesslike prudence. Equally it seems that your hasty rejection of nuclear energy as a 'last resort' was also driven by your PR imperatives rather than by other considerations. Many colleagues hope that that will be the subject of your next u-turn. You regularly (I think on a pre-arranged PR grid or timetable) make apparent policy statements which are then revealed to have no intended content at all. They appear to be made merely to strike a pose, to contribute to an image. You thus sometimes treat important subjects with the utmost frivolity. Examples are 'inequality' (the 'Polly Toynbee' moment - again you had a paper from me! ), marriage and the tax system (even your own Party Chairman was unable to explain on the BBC what you really meant) and, most recently, mass consultation of the public on policy decisions. (In view of your complete failure to consult with anyone, within the Party or outside it, on many of the matters I have touched on, or on many others, the latter was perhaps intended as a joke). Of course I could go on - up to three weeks ago when you were prepared to stoop to putting forward a resolution on Iraq (demanding an inquiry while our military involvement continues) which it was admitted at a Party meeting the following Monday (by George Osborne in your presence) was motivated by party political considerations. That was a particularly bad moment. Believe it or not I have no personal animus against you. You have always been perfectly courteous in our dealings. You are intelligent and charming. As you know, however, I never supported you for the leadership of the Party - even when, after my preferred candidate Ken Clarke had been defeated in the first round, it was blindingly obvious that you were going to win. Nor, for the same reasons, have I ever sought office in your shadow administration. Although you have many positive qualities you have three, superficiality, unreliability and an apparent lack of any clear convictions, which in my view ought to exclude you from the position of national leadership to which you aspire and which it is the presumed purpose of the Conservative Party to achieve. Believing that as I do, I clearly cannot honestly remain in the Party. I do not intend to leave public life. On the contrary I am looking forward to joining another party with which I have found increasingly I am naturally in agreement and which has just acquired a leader I have always greatly admired, who I believe is entirely straightforward, and who has a towering record, and a clear vision for the future of our country which I fully share. Because my constituents, to whose interests of course I remain devoted, are entitled to know the full background, I am releasing this letter to the press." Over Europe, presumably. Good riddance. Anyone who supports the imposition of that wretched treaty in the teeth of public disapproval has no place in a democratic party. I just hope Clark and the remaining Heathite relics follow him. Well, it's hardly a surprise judging by some of the apopletic, headbanging, mouth-foaming anti-Europeanism which many posters on this site see fit to indulge in. You are destroying this party with this poison. Why?? All it will result in is a continued Labour government doing things all Tories DON'T WANT! This party has NEVER won an election by campaigning against Europe. And it never will. It's a tragedy. Ordinary voters will see this as good for Brown and bad for Cameron. Whatever the reality, this looks like we are divided and weak! His resignation was not about Europe. It was about the fool running the Tory party into the ground. They misunderstood Gordon Brown, have no policies and unless the Eton-clique leave the comfort of Whites and get some professionals in are going to take the party to new lows. He illustrates the incompetance of Cameron in losing the same very one nation tories his no-policy policy was seeking to attract! Sky coverage negative for Cameron by the looks of it. Why does anyone care. He's a nobody. A month from now it'll be Quentin Who? He fancies Harriet Harman. Poor bloke. He is a respectable MP - Brown's gain, Cameron's loss. FJMS - I worry that you do not worry. We need a clean image at the moment and this could be part of a drip-drip of nagativity. TomTom, is right - and he looks like a Tory MP. If someone who looks that Tory defects then we have problems. The scary thing is there are probably going to be many comments on here saying this is a good thing becuase it hurts Cameron. Are we mad? Why do we so desperately want ourselves to fail, just as we begin to make progress? A fantastically beautiful and ultra safe seat, and with the loss of a Europhile, this goes into the "Tory Gain" column! It doesn't matter if some people consider him a 'nobody' on this site, but how it will be portrayed in the media and what the public at large will consider such a defection as. I suspect that the media will be negative about such a defection towards the Conservatives and this will undoubtedly give Brown and Labour a big boost. What I worry slightly about is that we are now selecting candidates who are liable to undertake such defections in the future. Rehman Chishti, among others, is a very good example of that. Amazingly he has disappeared from conservatives.com already - a message not to get on the wrong side of the party, perhaps? Was he thinking of standing down at the next election? I can`t see how this can be good news for Brown if as jumped ship because he wants more powers to be transfered to Brussels and doesn`t want the people to have there say on Europe, even doesn`t want an enquiry about the mistakes made over the Iraq war. The man is not just out of tune with his party, he is out of tune with the British people.I don`t think Mr Davies will be appearing on many Labour advertisements come election time. Of course, this also means we can clear out the deadwood in that particular constituency and get in a real, decent Conservative. "You are destroying the party with this poison" screams soi-disant "Liberal Tory". Hardly very liberal to refer to other people's views as "poison". As for "destroying the party" - how many people read these remarks? And what tiny percentage of that number takes them seriously? If anyone's a head banger, foaming at the mouth, then it is "Liberal Tory" himself. I suspect he's about as liberal and tory as the Holy Roman Empire was holy, roman or an empire. The free market is the liberal's concern; the free nation is the tory's. To judge by his unwillingness to attack the EU, our friend appears to cherish neither. I'm with FJMS. We can rely on Harman and Hewitt for "nagativity". So what's he known for? 3. Attacking Liam Fox in recent debate on the need for Iraq inquiry. I like the conservative party and dislike the fake running it. The quicker we get a proper leader (think Sarkozy, Fred Thompson etc., etc.,) the sooner we can get on with winning. The party chose a wet Blairite (Heathite) at the exact wrong moment. 10 years too late. Every other english speaking country has a resurgent conservative base - and what do we have? Cameron. A disapointed, frustrated careerist who has been passed over by every Tory leader. Efficiency, IT department are to be congratulated. BBC not giving it much time - Sky is very excited. Dawn Primeminstersrolo looks like Mr Ed on Sky News - she is loving it and saying Cameron is obsessed by PR! We don't need people called Quentin these days. The toffs belong in Labour. We're the peoples' party. There's a bloke called Alf standing in the West Lancashire Open Primary. Way to go! Well, lets just hope that Cameron's PR can limit the damage of this defection. Maybe he could use it to make Brown look weak on Europe? As a party is reformed people will become irritated both on the old left and the old right. Of course it is sad to lose any MP to the Labour Party and this will, in the short term, be a great propaganda gift to that party. But the future is with us, if we have the courage to seize it. If we can accelerate the pace of change in our party and ensure that the public sees that we are now fit to govern, we will be the ones smiling and not Mr Davies. That requires us to be disciplined. If we want Mr Davies and Mr Brown to smile we will use this as an excuse to attack our leader and our new direction. His profile was taken off the Party website 5minutes ago (but I got a printscreen of it). His personal website is down. His Wikipedia page has already been amended. We had this post up within a minute of it breaking, and the rosette photo within three. Don't you love the internet age! Tapestry - "the toffs belong in Labour" - get a grip. Old Fart - that could describe most of the backbenchers and some of the Shadow Cabinet. "Under your leadership the Conservative Party appears to me to have ceased collectively to believe in anything, or to stand for anything." I'm beginning to believe this!! The odd stance re grammar schools but then giving choice to parents is a fine example of not believing in anything! Oh dear! - looks rather like the wheels are coming off the Cameron bandwagon much earlier than anticipated. How the Tories believed that a PR spiv like Cameron could impact on the monolith that is Gordon Brown is beyond me. If a guy like Davies is jumping ship then you really do have problems. Here's to the fourth term! Who next? Cameron, Osborne and Boris Johnsson? Davis hasn't gone because of Europe. After all he was a Tory right through the Hague and IDS leaderships. He's gone because our party no longer stands for anything more than a fresh (but cheap) coat of paint over the new labour agenda. How uninspiring Cameron is and how much better our party would be if we had something to believe in again . EVERYONE SHOULD BE CAREFUL WHAT THEY WRITE ON THIS THREAD. THE MEDIA WILL BE READING IT. EXTREME COMMENTS BY NAMES I DO NOT RECOGNISE WILL BE DELETED. So does anyone from Lincolnshire way know what Quentin Whodis' chances of reselection were before hs took his "principled" decision? Nicely timed. It allows Brown to make the point that his government will be a unity government which will not revert to old Labour ways by bringing a token Tory into the fold. Wonder how long the Labour spin machine has been planning this one? I could not agree with changetowin more- either we keep on the course we have decided on headed by a leader who only 18 months we elected,or we unworthy to call ourselves HM Opposition. Divided we fall, united we win. The entire party from top to bottom must demonstrate an absolute determination to achieve victory. The media are always reading it Ed, it's the only way they have of grasping what conservatism is. I genuinely don't revel in this. This will damage us immensely. Treachorous little bugger. I thought we'd put all this behind us. The wheels have not come off, we've been warned to expect a tough period for a while. We just need to hold our nerve and support our leader. Anyway I thought the whole point of Cameron's early stage of leadership was rebranding ourselves with a heavy emphasis on PR? What's wrong with that? The meat will come later. The policies we are coming out with are only being stolen by Gord anyway! Gosh Tim - How Stalinist! A case of a rat joining a sinking ship ! The surprising thing is the defection of someone on the left of the party. Who knows the motivation etc, but why can't even the rabid Cameroons acknowledge that there is a serious perception problem. Dave is seen, to a great extent, as only believing in power for himself - at the cost of any principles. In contrast, TB clearly did believe in some things when he became Labour leader (for example a kinder, more cushioned free market approach) and anyway the whole PR led poltics, which Blair later came to exemplify, is something that the British public have now become fed up with. So in style - as well as in substance - there is the huge risk that Cameron is leading the party in exactly the wrong direction just as (if it's not a contradiction) the public want a more substantive style. For me, it is worse because I hate the Establishment as it consists of people who just want to belong and to have power without holding any great beliefs. And I don't equate private education to memebership of the Establishment. It's a state of mind - a desire for a stifling consensus - which nearly destroyed the country twice in the last century. So why have we got a Tory leader so desperate to be a member of it? And perhaps that was the issue with QD - as a natural maverick he never fitted in. Hey Mr Editor, don't be so touchy! Part of the Tories problem is their failure to understand just why they are so intensely disliked - until you come to terms with the reasons, one of which is arrogance, then regeneration will not be possible. Calm down everyone, he is a total nobody. Tomorrow's press will be full of Brown becoming PM, no space for a has been MP with whacko views defecting. Could even be spun in a possitive way (i.e. the Conservatives are changing, no room for the tired old guard). It's today's newspapers but tomorrow's chip paper. No need to panic. Blair managed to secure a couple of Tory deflectors, but Davies is now joining as McStalin Broon becomes leader. The timing is curious. What was he promised? If the man without Charisma can pull off a stunt like this then Camoron has his work cut out. QD: "the people's flag is deepest red and so is my face." If he had any guts he'd resign his seat. It's a fraud on the electorate. Was this a shock to the Whips? DavidTBreaker (15:22) is right. As defection timing goes, QD's could hardly be worse: we are back up in the polls (after the predictable weekend dip) and tomorrow's headlines are already written. We're tearing ourselves apart - this is ridiculous. We need to get rid of Cameron as soon as possible before we self-implode. I have not been a member of this party for twenty years to see Tory MP's reject the party because our leader worships the God of PR and nothing else. It's not Davies who needs to go, it's Cameron. Quentin Davies has articulated what a great deal of the party have been quietly grumbling about for a while now. We need to stop with the vacuous, rebranding exersize and prove to the electorate we aren't so desperate for power that we are prepared to jettison our core beliefs. I have to say, that was a pretty putrid response from from 'Tory T' - we lose an MP and all he can do is wonder which one of Zac's classmates is going to be palmed off with the seat. Meanwhile, back in the real world, the 'Roons have been spinning for almost a year now that they were talking to Liberal and Labour types who were 'just about' to defect to us. Imagine the cheering in heaven there'd have been if any of that guff had, y'know, been true. But as per usual, Blair-style fantasy and fibs, all too tamely printed by the Telegraph. And one more time for the more blinkered Roons: if we had got a Labour MP to defect to us, there'd, rightly, have been no ifs and buts from you lot: it would have been an A1 Good Thing. As it is, losing Davies is a miserable, miserable mark of Dave's pisspoor party management. The doubts grow - this is not to the party's advantage, and it *is* Dave's responsibility. Actually, the more I think about this, the more I think this has been badly timed and that it will be crowded out by Browns cornonation "story" tomorrow. People will clock *that* - not that a Tory MP has defected. But, question, how did the whips fail to see this one coming?? According to theyworkforyou his voting record is "Strongly against equal gay rights". Fined over mistreating sheep and supports "no enquiry into Iraq". This week he attacks our party over opposing the latest euro giveaway. He is a real piece of work. How come his Association have not deselected him yet? I agree about the suspicious timing - what has he been promised? Cabinet seat? Lords? The reasons he gave for defecting are very fair. "We need to stop with the vacuous, rebranding exersize and prove to the electorate we aren't so desperate for power that we are prepared to jettison our core beliefs." When did wanting to represent the majority become a betrayal? As an anti-democrat Quentin has gone to the right place. Let us hope that the other anti-democratic Tory MPs (there are a few more) follow him. Look at all the previousIy unseen names on this thread. They are obvious NuLab trolls. Key messages - "lt wasn't over Europe" - Yeah right! "He was highly respected" - By who? "This is very bad for Cameron" - No, it's not. The BBC is not really covering this - Why? I don't know whether this news demonstrates how absurd the Conservative Party has become, or how absurd the Labour Party has become. Both, probably. Lets face it, now Labour can no longer sell seats in the Lords for cash, they may as well sell them for defections. This does not fit with the BBC narrative that Cameron is not really a eurosceptic. It will be reassuring for the 90% of Conservatives who are against the Constitution that Cameron offends europhiles like Quentin. Many eurosceptics are worried that Cameron’s acting his euroscepticism, and The Times is actually alleging that he is (Riddell today). Blair said in Parliament yesterday that Cameron is just going through the motions by sounding off against the Constitution. This helps to show there is a divide between Cameron and Blair/Brown, not what the BBC wants to put over. What's he been promised? Minister for Europe? "has just acquired a leader I have always greatly admired, who I believe is entirely straightforward, and who has a towering record"
and I realise he means Gordon Brown. Then it is clear this is a man who lost any grasp of reality. Nobody (else) in Labour honestly believes that. Still.. a Cameron downturn and an early election ? So top of the list for his "official" reasons for jumping was the EPP decision. Took him a year, though. Quentin moves from the house built on 'shifting sands' to the house built on thin air, presumably? I am sad that there is so much personal abuse in some of the comments. To talk of sacking Cameron is also misplaced. Those suggesting this should reflect of why and how we lost the past 3 elections and what a mountain we have to climb to get back into Government. In Opposition you can only talk about getting things done and we should remember this. As I said, I want to see the leadership showing the same sort of ruthless commitment the media keeps telling us that Gordon Brown is showing towards winning the next election. I think it would be a great idea if Ken Clarke was to leave the Conservatives and create a moderate, pro-European centre party. It was Howes, Heseltines, Pattens and Pyms that kept the Tory Party sane. They seem to have disappeared at all levels. If Clarke was to go, those Conservatives who want a popular leader with experience and gravitas can follow him, and the rest can follow Liam Fox and chums. It would be a very welcome end to many years of rancour. Brown has been cooking this one up for a while. I am surprised he has not offered Portillo a post in the Cabinet because if he had, I would not put money on Mr P refusing it. # Has spoken in 18 debates in the last year — below average amongst MPs. # Has received answers to 9 written questions in the last year — below average amongst MPs. This guy is insane. For am MP to defect to a more socialist party, under Gordon Brown. Knowing that Brown is unlikely to hold any majority in an election. Sounds like he was angry about Cameron beating Ken Clarke. 'blindingly obvious' sounds a bit firy for something that's only factual. Calm down, Quentin. You can't win everything all the time. I'm quite happy with Cameron Brian Jenner. Not thrilled, but happy enough. His type of Conservatism has palpably failed and it is no coincidence that the only Tory leader to recognise his "talents" was the worst one we have had in over 100 years (I.D.S). We must STAY LOYAL to Cameron, remember the progress we have made in the last 12 months-and above all remember that when we revert to appearing like an angry ( and elderly) right wing debating society, we end up with fewer than 200 MPs and are an irrelevance to the people we want to help. We adopted this tactic from 1992-2005, and look where it got us. There's no way this news can be regarded in any way other than an extremely heavy blow against Cameron and his agenda. I wonder what Baroness Thatcher thinks about her hometown being represented by a Labour MP. It's the number two story on the website. Davies has obviously defected over Europe. His suggestion that it is over larger issues is a venomous pretence DESIGNED to cause trouble. To all on the right I suggest calm. Davies was at variance with you on the most important issue of all, so don't rise to his nasty bait. Cameron has proved lamentable lately but he's doing what we want on the subject of Europe. By all means shout when he abandons Tory principle, but don't desert him when he is upholding it. I feel somewhat reluctant even grudgingly that I must come to the aid of Dave. For crying out loud someone should tell him. However, I must admit that I did not see the point of having an enquiry into Iraq at this moment in time - too upsetting for the troops. Dave, do stop diving to the Left. "The BBC is not really covering this - Why?" Because no one cares. To most this story will not even register, and to others it's simply some MP that no one has ever heard of, from some place no one has ever heard of before and can't locate on the map, has left one party and joined another party, and no one is particularly bothered and if affects nothing. No need to panic, barely worth thinking about. 45 minutes in and News 24 has not made its a major story - they have just interviewed Blunkett about the floods and did not ask him about it. Sky is being much more up front about it. The media are predictably describing him as a senior Conservative MP. By what measure?! Anyone want to take a bet that at least one headline in the morning will have the phrase "Top Tory". Classic Brown spinning exercise - buy a defector with a peerage, and have a quick bash at the opposition. This re-inforces the Stalinistic control freakery. The 100 days starting tomorrow will be picked up by the media as a cynical spinning exercise. 100 DAYS OF SPIN STARTS TOMORROW! The pomposity of Quentin Davies's letter to David Cameron is staggering. "Because my constituents, to whose interests of course I remain devoted, are entitled to know the full background, I am releasing this letter to the press." His constituents' interests would have been adequately served by releasing a statement to the local press to say he had joined Labour as he no longer agreed with the direction of the Conservatives and believed he would be more comfortable within the Labour Party. The stream of attacks on the current Conservative leadership and the praise for Gordon Brown are irrelevant to his constituents' interests, and, as such, the timing and manner of this announcement prove this to be little more a PR stunt timed to coincide with Gordon Brown becoming Labour leader - oh, the irony! He comes from Grantham - Mrs Thatcher's birthplace - how can you say it's a place no one heard of. I was surprised to learn he was still in the Commons. Does anyone else fancy raising a little leaving present for him? I think £1.50 in 5p pieces would be appropriate. A pity. I imagine he has been promised a job in the ministry "of all the talents". The Conservative Party needs to carry on setting out a positive agenda on issues from the environment to healthcare, Europe to education. We need to articulate the difference between top-down, regulation driven Labour and our more progressive approach of trusting individuals and communities. Mr Davies voted against an enquiry into the Iraq war and is in favour of giving more power to the EU without consulting the British people. On both topics he is not only out of step with the Conservative Party, but with the British people. Wow, Bertha, a new name energetically working on the "Save Dave" project! Yeah. IDS was best mates with Chirac, Schroeder, Berlusconi - and they all loved his vision of a Europe of free trading nations, and his rejection of the Euro in perpetuity. Are you sure you're feeling OK, Quentin? Calm down a bit. OK, we've done this one to death. Bored now.